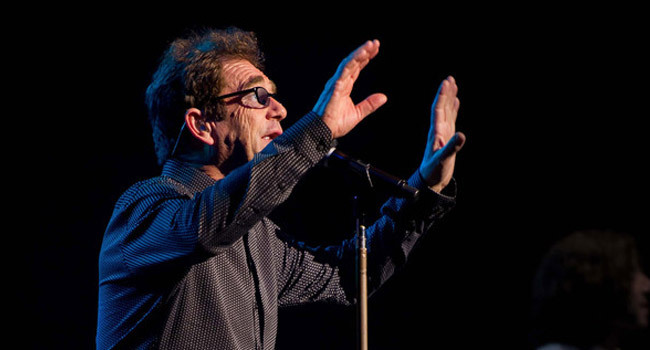 Huey Lewis and the News rocked the crowd at St. George Theater Sunday, February 26th. It was their first concert on Staten Island. And while he may have been playing on the crowd’s hunger to hear their very favorite songs, Lewis and his eight-piece band did play three newer songs this evening. But, they were well earned after a slew of classic hits that included “If This Is It”, “Doing It All For My Baby” and “Hip To Be Square”. Throughout the evening, Lewis paced the stage. He let the music move him as he worked the crowd with his microphone stand gymnastics and virtuosic harmonica playing. Bopping around the stage in a manner not unlike a jovial Muppet (and yes that’s a compliment), Lewis proved the music is till as much fun for him and the band as it is for his fans-38 years into their career. The evening’s slowest moment came when Huey and Co. decided to strip it down to a semi-acoustic set for a few songs. This is a tradition for the band, and showcased why they are considered some of the finest musicians in the world. One song, “Um Um Um Um Um Um Um”, faired particularly well in this setting. Huey Lewis and the News performed as part of the St. George Theatre’s 87th Annual Gala, a fundraiser for the historic venue. While the show itself was open to the public, the Gala was a formal event for donors and friends of the theatre. This meant that about a third of the crowd was in their Sunday best for the concert-a rarity for a Huey Lewis show, and something the rock icon noted during his encore. After a short break, Huey Lewis returned, band in tow, for the song he joked he never imagined “We’d have to play every damn night of our lives.” The Academy Award-nominated “Power of Love” moved people to their feet. The concert closed with seminal hit “Workin’ for A Livin’”. Indeed, 38 years in and their fans are glad they are still doing just that.